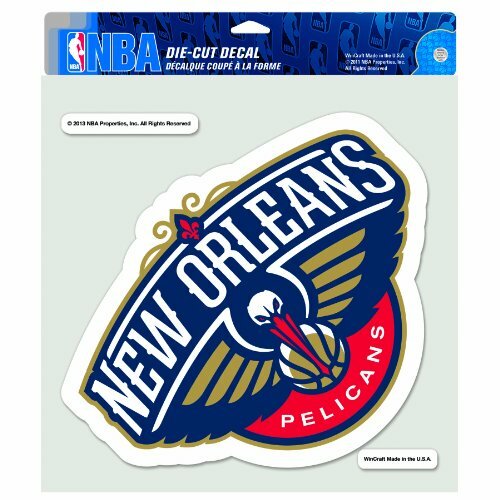 WinCraft NBA New Orleans Pelicans Die Cut Colored Decal, 8 x 8-Inch by WinCraft at Basket Express. MPN: 84074013. Hurry! Limited time offer. Offer valid only while supplies last. Officially licensed decal. These decals are thermal cut and can be placed on a variety of surfaces, not just a window, with their self-adhesive back. Officially licensed decal. These decals are thermal cut and can be placed on a variety of surfaces, not just a window, with their self-adhesive back. Actual decal size varies depending on shape of logo that fits into a 8" square. Made in USA.